Pregnancy has a profound impact on the thyroid gland and thyroid function since the thyroid may encounter changes to hormones and size during pregnancy. The diagnosis and treatment of thyroid disease during pregnancy and the postpartum is complex but knowledge regarding the interaction between the thyroid and pregnancy/the postpartum period is advancing at a rapid pace. WHAT ARE THE NORMAL CHANGES IN THYROID FUNCTION ASSOCIATED WITH PREGNANCY? HORMONE CHANGES. A normal pregnancy results in a number of important physiological and hormonal changes that alter thyroid function. These changes mean that laboratory tests of thyroid function must be interpreted with caution during pregnancy. Thyroid function tests change during pregnancy due to the influence of two main hormones: human chorionic gonadotropin (hCG), the hormone that is measured in the pregnancy test and estrogen, the main female hormone. HCG can weakly turn on the thyroid and the high circulating hCG levels in the first trimester may result in a slightly low TSH (called subclinical hyperthyroidism). When this occurs, the TSH will be slightly decreased in the first trimester and then return to normal throughout the duration of pregnancy (see Table 1). Estrogen increases the amount of thyroid hormone binding proteins in the serum which increases the total thyroid hormone levels in the blood since >99% of the thyroid hormones in the blood are bound to these proteins. However, measurements of “Free” hormone (that not bound to protein, representing the active form of the hormone) usually remain normal. The thyroid is functioning normally if the TSH, Free T4 and Free T3 are all normal throughout pregnancy. SIZE CHANGES. The thyroid gland can increase in size during pregnancy (enlarged thyroid = goiter). However, pregnancy-associated goiters occur much more frequently in iodine-deficient areas of the world. It is relatively uncommon in the United States, which is thought to be relatively iodine-sufficient. If very sensitive imaging techniques (ultrasound) are used, it is possible to detect an increase in thyroid volume in some women. This is usually only a 10-15% increase in size and is not typically apparent on physical examination by the physician. However, sometimes a significant goiter may develop and prompt the doctor to measure tests of thyroid function. For the first 10-12 weeks of pregnancy, the baby is completely dependent on the mother for the production of thyroid hormone. By the end of the first trimester, the baby’s thyroid begins to produce thyroid hormone on its own. The baby, however, remains dependent on the mother for ingestion of adequate amounts of iodine, which is essential to make the thyroid hormones. The World Health Organization recommends iodine intake of 200 micrograms/day during pregnancy to maintain adequate thyroid hormone production. The normal diet in the United States contains sufficient iodine so additional iodine supplementation is rarely necessary. WHAT ARE THE MOST COMMON CAUSES OF HYPERTHYROIDISM DURING PREGNANCY? Overall, the most common cause (80-85%) of maternal hyperthyroidism during pregnancy is Graves’ disease (see Graves’ Disease brochure) and occurs in 1 in 1500 pregnant patients. In addition to other usual causes of hyperthyroidism (see Hyperthyroid brochure), very high levels of hCG, seen in severe forms of morning sickness (hyperemesis gravidarum), may cause transient hyperthyroidism. The diagnosis of hyperthyroidism can be somewhat difficult during pregnancy, as 123I thyroid scanning is contraindicated during pregnancy due to the small amount of radioactivity, which can be concentrated by the baby’s thyroid. Consequently, diagnosis is based on a careful history, physical exam and laboratory testing. WHAT ARE THE RISKS OF GRAVES’ DISEASE/HYPERTHYROIDISM TO THE MOTHER? Graves’ disease may present initially during the first trimester or may be exacerbated during this time in a woman known to have the disorder. In addition to the classic symptoms associated with hyperthyroidism, inadequately treated maternal hyperthyroidism can result in early labor and a serious complication known as pre-eclampsia. Additionally, women with active Graves’ disease during pregnancy are at higher risk of developing very severe hyperthyroidism known as thyroid storm. Graves’ disease often improves during the third trimester of pregnancy and may worsen during the post partum period. WHAT ARE THE RISKS OF GRAVES’ DISEASE/HYPERTHYROIDISM TO THE BABY? 1) UNCONTROLLED MATERNAL HYPERTHYROIDISM: Uncontrolled maternal hyperthyroidism has been associated with fetal tachycardia (fast heart rate), small for gestational age babies, prematurity, stillbirths and possibly congenital malformations.This is another reason why it is important to treat hyperthyroidism in the mother. 2) EXTREMELY HIGH LEVELS OF THYROID STIMULATING IMMUNOGLOBLULINS (TSI): Graves’ disease is an autoimmune disorder caused by the production of antibodies that stimulate thyroid gland referred to as thyroid stimulating immunoglobulins (TSI). These antibodies do cross the placenta and can interact with the baby’s thyroid. Although uncommon (2-5% of cases of Graves’ disease in pregnancy), high levels of maternal TSI’s, have been known to cause fetal or neonatal hyperthyroidism. Fortunately, this typically only occurs when the mother’s TSI levels are very high (many times above normal). Measuring TSI in the mother with Graves’ disease is often done in the third trimester. In the mother with Graves’ disease requiring antithyroid drug therapy, fetal hyperthyroidism due to the mother’s TSI is rare, since the antithyroid drugs also cross the placenta. Of potentially more concern to the baby is the mother with prior treatment for Graves’ disease (for example radioactive iodine or surgery) who no longer requires antithyroid drugs. It is very important to tell your doctor if you have been treated for Graves’ Disease in the past so proper monitioring can be done to ensure the baby remains healthy during the pregnancy. 3) ANTI-THYROID DRUG THERAPY (ATD). Methimazole (Tapazole) or propylthiouracil (PTU) are the ATDs available in the United States for the treatment of hyperthyroidism (see Hyperthyroidism brochure). Both of these drugs cross the placenta and can potentially impair the baby’s thyroid function and cause fetal goiter. Historically, PTU has been the drug of choice for treatment of maternal hyperthyroidism, possibly because transplacental passage may be less than with Tapazole. However, recent studies suggest that both drugs are safe to use during pregnancy. It is recommended that the lowest possible dose of ATD be used to control maternal hyperthyroidism to minimize the development of hypothyroidism in the baby or neonate. Neither drug appears to increase the general risk of birth defects. Overall, the benefits to the baby of treating a mother with hyperthyroidism during pregnancy outweigh the risks if therapy is carefully monitored. WHAT ARE THE TREATMENT OPTIONS FOR A PREGNANT WOMAN WITH GRAVES’ DISEASE/HYPERTHYROIDISM? Mild hyperthyroidism (slightly elevated thyroid hormone levels, minimal symptoms) often is monitored closely without therapy as long as both the mother and the baby are doing well. When hyperthyroidism is severe enough to require therapy, anti-thyroid medications are the treatment of choice, with PTU being the historical drug of choice. The goal of therapy is to keep the mother’s free T4 and free T3 levels in the high-normal range on the lowest dose of antithyroid medication. Targeting this range of free hormone levels will minimize the risk to the baby of developing hypothyroidism or goiter. Maternal hypothyroidism should be avoided. Therapy should be closely monitored during pregnancy. This is typically done by following thyroid function tests (TSH and thyroid hormone levels) monthly. In patients who cannot be adequately treated with anti-thyroid medications (i.e. those who develop an allergic reaction to the drugs), surgery is an acceptable alternative. Surgical removal of the thyroid gland is only very rarely recommended in the pregnant woman due to the risks of both surgery and anesthesia to the mother and the baby. Radioiodine is contraindicated to treat hyperthyroidism during pregnancy since it readily crosses the placenta and is taken up by the baby’s thyroid gland. This can cause destruction of the gland and result in permanent hypothyroidism. Beta-blockers can be used during pregnancy to help treat significant palpitations and tremor due to hyperthyroidism. They should be used sparingly due to reports of impaired fetal growth associated with long-term use of these medications. Typically, these drugs are only required until the hyperthyroidism is controlled with anti-thyroid medications. WHAT IS THE NATURAL HISTORY OF GRAVES’ DISEASE AFTER DELIVERY? Graves’ disease typically worsens in the postpartum period, usually in the first 3 months after delivery. 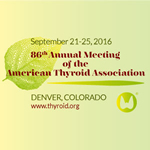 Higher doses of anti-thyroid medications are frequently required during this time. At usual, close monitoring of thyroid function tests is necessary. CAN THE MOTHER WITH GRAVES’ DISEASE, WHO IS BEING TREATED WITH ANTI-THYROID DRUGS, BREASTFEED HER INFANT? Yes. PTU is the drug of choice because it is highly protein bound. Consequently, lower amounts of PTU cross into breast milk compared to Tapazole. It is important to note that the baby will require periodic assessment of his/her thyroid function to ensure maintenance of normal thyroid status. WHAT ARE THE MOST COMMON CAUSES OF HYPOTHYROIDISM DURING PREGNANCY? Overall, the most common cause of hypothyroidism is the autoimmune disorder known as Hashimoto’s thyroiditis (see Hypothyroidism brochure). Hypothyroidism can occur during pregnancy due to the initial presentation of Hashimoto’s thyroiditis, inadequate treatment of a woman already known to have hypothyroidism from a variety of causes, or over-treatment of a hyperthyroid woman with antithyroid medications. Approximately, 2.5% of women will have a slightly elevated TSH of greater than 6 and 0.4% will have a TSH greater than 10 during pregnancy. WHAT ARE THE RISKS OF HYPOTHYROIDISM TO THE MOTHER? Untreated, or inadequately treated, hypothyroidism has been associated with maternal anemia (low red blood cell count), myopathy (muscle pain, weakness), congestive heart failure, pre-eclampsia, placental abnormalities, low birth weight infants, and postpartum hemorrhage (bleeding). These complications are more likely to occur in women with severe hypothyroidism. Most women with mild hypothyroidism may have no symptoms or attribute symptoms they may have as due to the pregnancy. WHAT ARE THE RISKS OF MATERNAL HYPOTHYROIDISM TO THE BABY? Thyroid hormone is critical for brain development in the baby. Children born with congenital hypothyroidism (no thyroid function at birth) can have severe cognitive, neurological and developmental abnormalities if the condition is not recognized and treated promptly. These developmental abnormalities can largely be prevented if the disease is recognized and treated immediately after birth. Consequently, all newborn babies in the United States are screened for congenital hypothyroidism so they can be treated with thyroid hormone replacement therapy as soon as possible. The effect of maternal hypothyroidism on the baby’s brain development is not as clear. Untreated severe hypothyroidism in the mother can lead to impaired brain development in the baby. This is mainly seen when the maternal hypothoidism is due to iodine deficiency, which also affects the baby However, recent studies have suggested that mild brain developmental abnormalities may be present in children born to women who had mild untreated hypothyroidism during pregnancy. At this time there is no general consensus of opinion regarding screening all women for hypothyroidism during pregnancy. However, some physician groups recommend checking a woman’s TSH value either before becoming prenant (pre-pregnancy counseling) or as soon as pregnancy is confirmed. This is especially true in women at high risk for thyroid disease, such as those with prior treatment for hyperthyroidism, a positive family history of thyroid disease and those with a goiter. Clearly, woman with established hypothyroidism should have a TSH test once pregnancy is confirmed, as thyroid hormone requirements increase during pregnancy, often leading to the need to increase the levothyroxine dose. If the TSH is normal, no further monitoring is typically required. This issue should be discussed further with your health care provider, particularly if you are contemplating pregnancy. Once hypothyroidism has been detected, the woman should be treated with levothyroxine to normalize her TSH and Free T4 values (see Hypothyroidism brochure). HOW SHOULD A WOMAN WITH HYPOTHYROIDISM BE TREATED DURING PREGNANCY? The treatment of hypothyroidism in a pregnant woman is the same as for a man or non-pregnant woman, namely, adequate replacement of thyroid hormone in the form of synthetic levothyroxine (see Hypothyroidism brochure). It is important to note that levothyroxine requirements frequently increase during pregnancy, often times by 25 to 50 percent. Occasionally, the levothyroxine dose may double. Ideally, hypothyroid women should have their levothyroxine dose optimized prior to becoming pregnant. Women with known hypothyroidism should have their thyroid function tested as soon as pregnancy is detected and their dose adjusted by their physician as needed to maintain a TSH in the normal range. Thyroid function tests should be checked approximately every 6-8 weeks during pregnancy to ensure that the woman has normal thyroid function throughout pregnancy. If a change in levothyroxine dose is required, thyroid tests should be measured 4 weeks later. As soon as delivery of the child occurs, the woman may go back to her usual pre-pregnancy dose of levothyroxine. It is also important to recognize that prenatal vitamins contain iron and calcium that can impair the absorption of thyroid hormone from the gastrointestinal tract. Consequently, levothyroxine and prenatal vitamins should not be taken at the same time and should be separated by at least 2-3 hrs. IS LEVOTHYROXINE SAFE DURING PREGNANCY? Yes, levothyroxine (LT4) is exactly the same hormone as your natural thyroid hormone so giving this in pregnancy to augment inadequate production is safe. CAN I TAKE “NATURAL THYROID HORMONE” (I.E. ARMOUR THYROID T3/T4 ) DURING PREGNANCY? There is not enough evidence / studies to show the necessity or safety of T3/T4 combination use during pregnancy. It is best to use levothyroxine alone (but you can discuss the pros and cons with your health care provider). Note that using liothyronine (T3) tends to lower free T3 levels even in the non-pregnant state. The exact cause is not known but it is believed to be an autoimmune disease very similar to Hashimoto’s thyroiditis. In fact, these two disorders cannot be distinguished from one another on pathology specimens. As in Hashimoto’s thyroiditis, postpartum thyroiditis is associated with the development of anti-thyroid (anti-thyroid peroxidase, anti-thyroglobulin) antibodies. Women with positive antithyroid antibodies are at a much higher risk of developing postpartum thyroiditis than women who do not have have positive antibodies. It is believed that women who develop postpartum thyroiditis have an underlying asymptomatic autoimmune thyroiditis that flares in the postpartum period when there are fluctuations in immune function. In the United Status, postpartum thyroiditis occurs in approximately 5-10% of women. The incidence can be greater in certain highrisk populations (see below). The classic description of postpartum thyroiditis includes thyrotoxicosis followed by hypothyroidism. Not all women demonstrate evidence of going through both phases; approximately 1/3 of patients will manifest both phases, while 1/3 of patients will have only a thyrotoxic or hypothyroid phase. The thyrotoxic phase occurs 1-4 months after delivery of a child, lasts for 1-3 months and is associated with symptoms including anxiety, insomnia, palpitations (fast heart rate), fatigue, weight loss, and irritability. Since these symptoms are often attributed to being postpartum and the stress of having a new baby, the thyrotoxic phase of postpartum thyroiditis is often missed. It is much more common for women to present in the hypothyroid phase, which typically occurs 4-8 months after delivery and may last up to 9 –12 months. Typical symptoms include fatigue, weight gain, constipation, dry skin, depression and poor exercise tolerance. Most women will have return of their thyroid function to normal within 12-18 months of the onset of symptoms. However, approximately 20% of those that go into a hypothyroid phase will remain hypothyroid. Treatment depends on the phase of thyroiditis and degree of symptoms that patients exhibit. Women presenting with thyrotoxicosis may be treated with beta blockers to decrease palpitations and reduce shakes and tremors. As symptoms improve, the medication is tapered off since the thyrotoxic phase is transient. Antithyroid medications (seeHyperthyroid brochure) are not used for the thyrotoxic phase since the thyroid is not overactive.